Jay Deas, co-manager and trainer for WBC heavyweight champion Deontay Wilder (39-0, 38 KOs), says their entire team wanted to face WBA, IBF, IBO champion Anthony Joshua (20-0, 20 KOs) next. They did have some minor talks, but ultimately Deas was told – by Joshua’s promoter Eddie Hearn – that more time was needed to properly build that contest up. “We wanted it now and they opted to go in a different direction,” Deas said to FanSided. 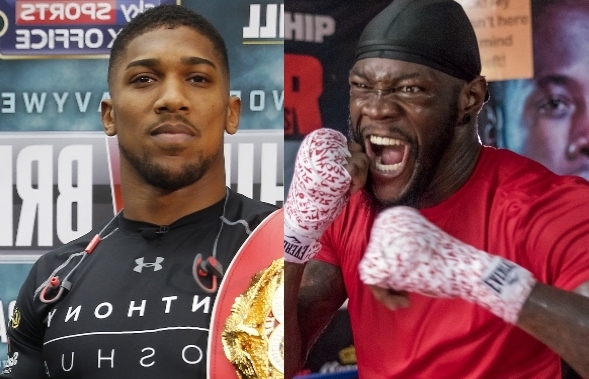 Wilder is now scheduled to make a voluntary defense against Luis Ortiz at the Barclays Center in Brooklyn, New York, and Joshua is going forward with a unification clash against WBO champion Joseph Parker on March 31 in Principality Stadium in Cardiff, Wales. Should both boxers win, there will be a lot of pressure to see the two of them colliding at some point, this year. However, it already appears that steps are being taken for Joshua to make a mandatory defense against Alexader Povetkin in the summer. Last week, Povetkin was officially placed on the Joshua-Parker undercard against David Price. Deas is hoping that his boxer is not blamed for delaying the showdown – if it doesn’t happen in 2018. “I don’t think that Eddie Hearn truly understands the passion of the world’s boxing fans for this fight to happen as soon as humanly possible should Deontay and Anthony prevail in March. I don’t know if the public will tolerate anymore waiting. I think they will make their voices known loud and clear,” Deas said.